Genesse Gentry is a bereaved parent and Northern California Regional Coordinator for The Compassionate Friends. 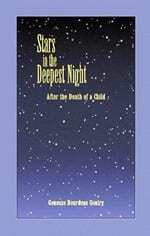 She is a poet and author of Stars in the Deepest Night and Catching the Light: Coming Back to Life after the Death of a Child. Her daughter Lori died at age 21 in a car accident in 1991. She has a surviving daughter Megan.